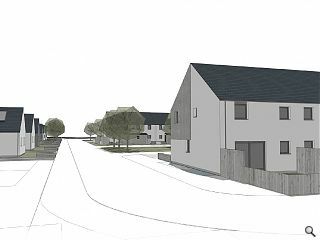 A pioneering development of energy efficient homes at Drumnadrochit is to be extended following the submission of plans for an additional 43 homes in the Highland settlement of Drumnadrochit. 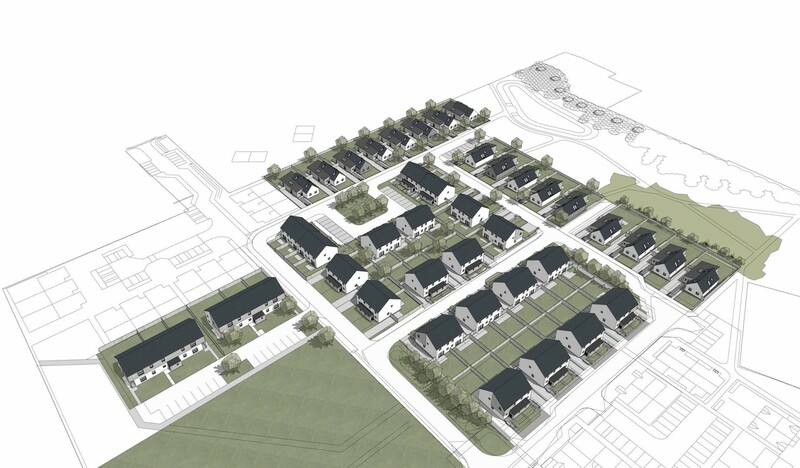 The R.House concept, conceived by Rural Design Architects and James MacQueen Builders, will deliver a mix of detached, terraced, semi-detached and cottage flats, with a communal courtyard forming the focal point for this phase of development. 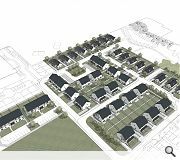 In a statement R.House wrote: “The houses will adopt a restrained palette of materials with the main body of the houses in white render. The entrance porch of the semi-detached and the lean-to element of the bungalow will be untreated larch cladding which will be allowed to weather to a natural grey colour. 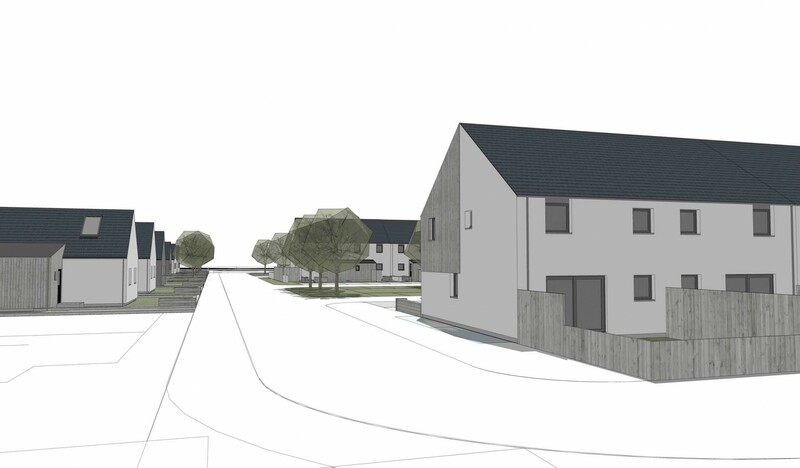 Landscape work will be undertaken by Horner + MacLennan who will employ low timber sleeper and stone walls to form a site boundary.